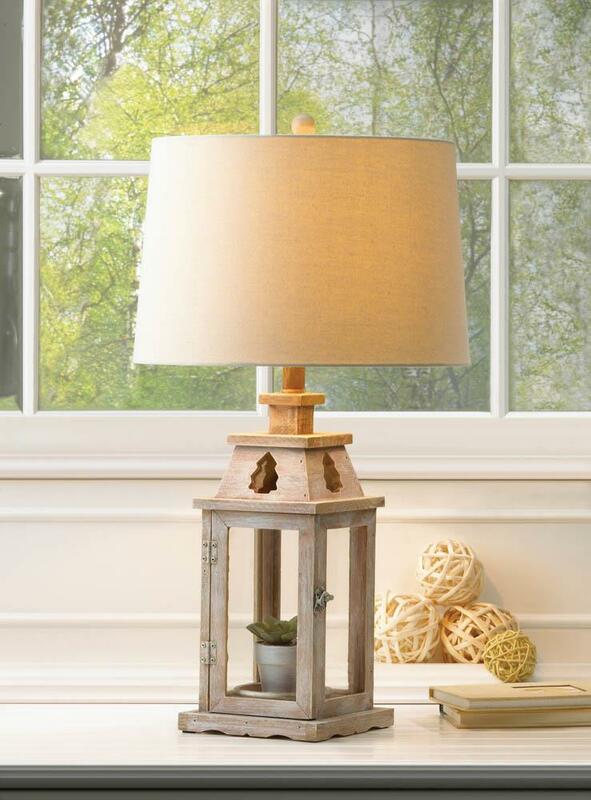 This brushed white wooden lantern table lamp is a functioning lantern reborn as a table lamp. 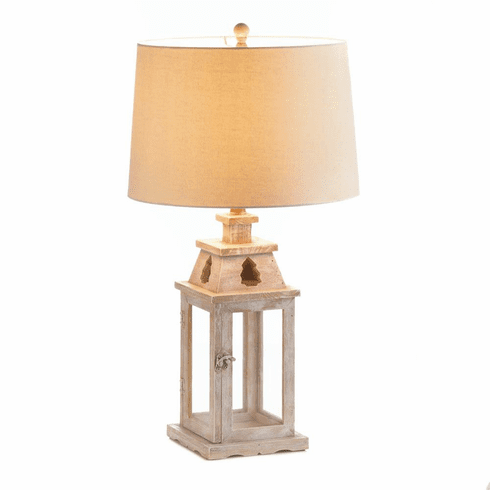 The lamp at the top and the lantern on the bottom can be lit together or by themselves to create the mood light you want for your room. Shade: 13" x 13:"x 10" high; Base: 7" x 7" x 20"" high; Power cord: appx. 68" long. 60 watt light bulb not included. Weight 3.4 pounds. 13.5" x 13.5" x 27.4". Pine Wood, Iron, Glass, Linen. UPC Number: 849179036263.